On the 27th of April, some of the birder’s of Walthamstow will be doing their dawn till dusk 'Annual Walthamstow Patch Watch' day. It’ll be our seventh one. Anyone is welcome to contribute and get involved. Timely news of birds on the patch will be appreciated by all taking part. Those on Twitter can use the hashtags #AWPW7, #walthamstowbirders or the usual #londonbirds to post news of birds on the patch. It all helps the birders on the day connect with birds and not to mention totting up the list at the end of the day. The ‘Latest News’ page on the London Wiki https://londonbirders.fandom.com/wiki/LatestNews is a good place to put sightings (though not as immediate as Twitter). As you can see, the average is around 80. Hopefully we can at least match last year’s tally. Anything seen on or from the patch counts. 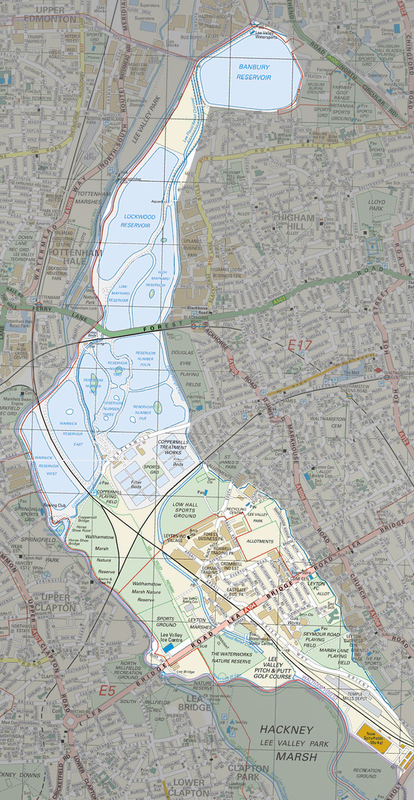 The patch consists of the Banbury Reservoir, Wild Marsh East, Walthamstow Reservoirs, Coppermill Treatment Works, Low Hall Sports Ground, Walthamstow Marshes, WaterWorks Nature Reserve and Leyton Tip.